You are here: Home / Supplements / Hyaluronic Acid Benefits – Skin Care and More! Hyaluronic Acid Benefits – Skin Care and More! Hyaluronic Acid (HA) has become a popular supplement used to treat many ailments, and hyaluronic acid benefits include use for arthritis, joint pain, osteoarthritis, and damaged tissue. It is also widely used in skin care products for its ability to rejuvenate the skin! Hyaluronic acid contains hyaluronan, a substance that occurs naturally in the body. For osteoarthritis, where the joints lack the fluid for sufficient lubrication, Hyaluronic acid injections are made directly into joints for temporary relief from pain. 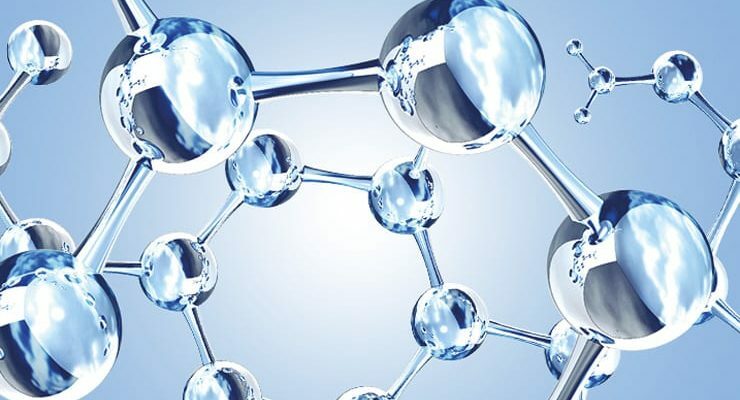 Hyaluronic acid interacts with molecules that cause inflammation, thus negating their effects. Hyaluronan molecules travel throughout the body, taking nutrients from the food we eat and transporting it to the cells that need them via our extracellular fluid. Below you will read testimonials from our readers about the benefits and also side effects of hyaluronic acid. I noticed when I stopped taking HA, my joints felt achey, especially after I had been sitting for a while and got up and started walking. I started taking MSM and Boswellia and the aches went away for the most part. But I noticed a lot more white hair when I stopped taking HA and I remember Ted saying when he took HA, his white hair turned back to his natural color, and he posted a photo of himself. I was wondering if anyone could help verify if HA is safe to take or not. Thanks in advance for your assistance. Hi Rae, based on my research and reasoning I believe HA supplementation is safe. And in fact, the article you linked by Bill Sardi explains it very well as to why it's safe. Can you please share with us how you took the HA supplements? Dosage, type, and frequency. Hi Marnie, thank you for your response and sorry for the delay in mine. I was taking NOW brand of 100 mg hyaluronic acid. The label says it has 10 mg of sodium (from Sodium Hyaluronate), 100 mg L-Proline (Free-Form), 50 mg Alpha Lipoic Acid, 25 mg Grape Seed Extra (Vitis vinifera) in a cellulose capsule. Other ingredients: rice flour, magnesium stearate (vegetable source) and silica. I took one 100 mg capsule a day. Reading old posts from Alfred (2010), he went off HA for a week and experienced a lot of aches as well. I don't know if one should wean off it, but I just stopped taking it all at once and I was shocked at how much my knees and hips ached. I am 57 years old and I felt like I was 80+ years old. I no longer have any aches as I think the MSM and Boswellia solved that problem. I do have a problem with my left knee where I cannot lock it completely straight without pain on the outer side of the knee cap. I don't know what is causing this but I have scoliosis and pronated knees so over time, perhaps that is causing this. I am trying to do yoga to help address it. Below are articles about HA, some are for and some against. I have read that you have to be careful about where HA is sourced because traditionally, HA was extracted from rooster combs and now it is mostly produced via microbial fermentation with Streptococcus. But there's now a concern that streptococci are pathogenic. Thanks again for your response Marnie. I am still rather wary about taking HA. Hi, I am very glad to know about the remedy for Degenerative Disc Disease, but please can anyone guide as how to get the HA powder , to measure and the mixture. It will be a real relief for me. I noticed that some have said they didn't get any results from their HA. Two things to remember re: hyaluronic acid (HA). 1- the normal molecule of HA is too large to be absorbed into the system. It would be labeled high molecular weight. You want the product which says low molecular weight. The high molecular weight molecule can be injected into joints, but not taken orally. 2- Source of HA: There are two sources. 1- natural which comes from avian collegen. 2- synthetic process by bacterial fermentation. That is high molecular weight. Orally it is only the low molecular weight molecule that is of benefit to the body. For what it's worth, my MD recommended the Hyaluronic Acid lozenges because the pills mostly get destroyed by stomach acids. The percentage of absorbtion with the lozenges is nearly 100%. You it place under your tongue until it desolves completely. You are not suppossed to swallow until it desolves, and you can't eat or drink anything for about 25 minutes. Re: Hyaluronic Acid Powder: I'm trying to find out where to buy the 500mg and at what % of purity are you guys using? I used the Hyaluronic Acid but broke out in large cysts on my face and itching. I had trouble with cystic acne most of my life. That may be why. Is there such a thing as “organic H.A.” since I buy cage free and no hormones or antibiotics in my chickens to eat. If there is, can someone help me find this supplement. I have the worst osteoarthritis. Thank you in advance. For the most efffective hyaluronic acid, at the most reasonable prices, check out iherb.com and look at the reviews for Hyaluronic acid 100 mg. Just one or two a day has helped hundreds of arthritic people, with no powders to mix. I personally have noticed a huge difference to my severe hip arthritis since adding that to my supplements when glucosamine wasn't enough. I also take the HA from a company which is derived from Collagen type 2, which will surprise you with the added bonus of mosre beautiful skin along with lessening the pain tremendously. Hi to all, having degenerative disc disease (ddd) in my neck c5-c6 along time, I’m 35 and really disappointed. I was on Hyaluronic Acid for about a month, but nothing so far, now I’m giving up, I don’t know if I was doing something wrong, maybe one thing. I was not making the remedy in a distilled water, it was regular store bottle, so to be honest I’m getting a litlle bit suspicius about this purebulk site! And will ask for answers from the supplier next time I buy HA, but from another source. Hi Billy, The thing is, when you’re unwell, it’s taken years to put you where you are. A month may not be long enough to cure your ailments. Some folks get a 24 hour reduction…I am not one of them. Do not disappear, I am trying lots of remedies on E/C……BUT……..you have to give it time. We all hope it will work overnight, but some illnesses, from person to person, take longer. Believe me, I bought everything and spent days crying. I am NOT buying into doctors! They are crap!!!! Do it at your own pace, a little, with a build up, is better than reading a post, and praying it will help. We are all different, what suits one person may not be the answer, … Don’t give up!You will find what you need on here xxxxx Have its just a matter of trying. Before giving up on Hyaluronic Acid, I would have tried the HA that comes with collagen. Ted has recommended the HA given to horses. I am not familiar with HA suppliers so only know about the Biocell product. I know other older HA products that are useless. Many HA brands use the Biocell version. It does work. I had my neighbor down the street try it last month and he is now free from herniated disc pain. He's older so the cause tends to be deficiency of HA. Being much younger, that may not be the cause but I'd make sure by trying another HA like Biocell. Just make sure you take it on empty stomach and don't ingest other proteins until 45 minutes afterwards.Take 300 grams if HA (usually 6 tablets) for at least two weeks and see if there is improvement. If not then you can move on. If that doesn't work then try other things like comfrey packs. Maybe it is caused by infection. Think outside the box. Thanks for the information on the laser. The only drawback is the underlying cause may not get addressed so just something to be aware of. your problem is that you are using a biologically in-active grade of hyaluron. the chinese genetically modified hyaluron from purebulk is inert, is useless. [I know; I bot $100 of it.] find a good brand of hyaluron somewhere and take that; you will probably start seeing some results in 3 days time. add a copper supplement to the diet; 2 mg. per day. you must balance the copper with 15 mg. zinc per day ….. take the copper & zinc at different meals …. not together. don't take any supplement with molybdenum in it. Please provide evidence that the product sold by purebulksupplements is any different from that sold by other manufacturers. They all buy their raw materials from China…with the exception perhaps of Thorne, although they no doubt get some of their stuff from wherever it's clean. You're saying it's 'genetically modified'. I think you need to show documentation that that's true. don't give up, I used and healed but did many other things. I had 4 doctors tell me I needed surgery and had not been able to stand for more than 5 minutes at a time for 8 months.Had ice or heat applied 24/7. This site and Ted's remedy was a god send! EC: Excellent suggestion.? We did just that. Get a bottle of "Lightheaded" from Heel. They're on the web. It works wonders for lightheadedness and vertigo…You may find it in some health food stores. A bottle costs about $10.00. Put one tablet under your tongue, usually ends the problem; sometimes put another if needed…They come 100 to a bottle..Realy works! Yes, low level lasers can stimulate discs to heal over time. You can google it. Hi .. where did you get this protocol? Jarrow makes a zinc 15mg and copper 2mg product combination formula. Where did you read the scientific study that says you should take zinc and copper separately? Hi, will Hylauronic Acid work for a herniated cervical disc? Thanks. I was unable to get my HA to dissolve after refrigerating it overnight, with shaking. (I used (5) 100mg. pills) So the following morning I put it in my blender on high and it became completely disbursed. Directions I read said to chill water overnite. Then add HA in the morning. Shake, let sit in fridge some more. Will dissolve. I have found that Hyaluronic acid will dissolve if you add a little coconut oil to the emulsion……..I think it needs a fat to be soluble………. The powder will dissolve just fine in warm or hot water. I sprinkle it over my dinner, and it works just fine. This one’s for “Ted”. Ted most of your advice on treatments seem to be based on a 150 pound man. I’m 300 pounds. If I were talking Hyaloronic Acid, would I require more than someone that is 150 pounds? Also are most herbs to be taken dependant on body weight? I would like to comment on my experience with hyaluronic acid (HA). I first tried a common and popular brand of HA to see if it would help with joint comfort of my back as I had previously been diagnosed with degenerative disc disease and arthritis. I used their “double strength” version which contains 100mg of HA in each capsule among other things. I took three of these spread throughout the day and noticed good benefit within one week. That works out to 300mg of HA per day. I was happy with the results, but it was a bit expensive as I was paying almost $20 for a bottle of 60 capsules which lasted only twenty days. I stopped taking them after going through 5 bottles to see if the effect would be lasting. It wasn’t! I then decided to try Ted’s mix as it was cheaper to take, though not as convenient as the capsules. With the electronic scale I use, it seemed to take just over 1/2 teaspoon of the HA to get the required 500mg assuming that my scale is reasonably accurate. I added the sea salt and started taking that mix three times per day on an empty stomach after the mixing process. This mix took about two full weeks before I started noticing any benefit and I did not feel the benefit was a good as with the capsules. One bottle of mix would last me about two and a half days as I was taking a full shot glass for each serving. I have since increased the mix to 3/4 of a teaspoon per bottle and this seems to have added to the benefit of the mix to the point that I now feel that it has a similar effect as the capsules. Although I am using more HA per mix, it (bulk HA powder) is still significantly cheaper than the capsules. The consistency of the mix is “very slightly thicker than water”, possibly like the consistency of low fat or non fat milk. I just recently noticed that _____ offers a 120 capsule bottle for about $25, so my current thinking is that I may use both. The capsules when I am away from home or run out of the liquid, and the liquid for when I am able to make it and take it at home. The other thing I am thinking is that with the capsules, I probably could have cut down on the dose of 3 caps per day after the first week or two… possibly only one or two per day to maintain the benefit. The thing is, I am a little afraid to try and cutback on the amount of HA I put in the mix or consume as I like the benefit and would hate to lose the benefit, even temporarily! Any suggestions or thoughts? Can l ask how you mix the Hyaluronic Acid? (purchased through purebulk). eg 500mg HA -6c1829 9grams Sea Salt and 500ml water. The reason l ask is that when l mix it with water and salt, it goes like a cloud in the water, and l shake the living hell out of the bottle but not all of it gets dissolved if that makes sense to you? just thought l might be doing something wrong. I look forward to your advise. In reply to Victoria: I used to put the salt and HA in the bottle of water and shake for about thirty seconds and then put it in the refrigerator. I would shake the bottle about every two hours for about thirty seconds each time, at least a total of four times. I usually left the bottle overnight before starting to use it. I always shook before using and the consistency was even, not lumpy or clumpy. I would take a shot glass per serving on an empty stomach and it seemed like the bottle would last about 2 to 3 days. I just take capsules now because it is more convenient than mixing the liquid and seems at least as effective as the liquid. I’ve tried the Hyaluronic acid. I use ___ 100mg liquid, 16oz. I have a bad hip which causes knee pain because of the way I walk. I also have arthritis. The ortho suggested a new shot you get 3 of for 3 weeks or something…. Very expensive. When I looked it up, it contains hyaluronic acid, so I decided I would just try that first. After 2 tbs. daily, for only a week, my knee felt a little better, but I was very surprised that the pain in my shoulders was almost gone and I had more mobility of my arms. I’m on a very tight budget and was not able to afford it the following month, but I’m back on it now.. Its about $23 for the 16 oz bottle (about 30 tbs) from my local Vitamin and health food store. Are you sure it just wasn’t time that let the piniform muscle relax and ease up on the pressure on the sciatic nerve? I read about a woman who ate ginger slices for 3 weeks and voila, her sciatica settled down. Paul – I got off the HA tablets and the horrid tennis elbow pain returned with a vengence, which goes to explain HA has been useful for my ailment. My mother suffered from back pain, she too took HA tablets, her pain has subsided a fair bit. Hi Alfred – How long was it before your bald patches were filled up with new hair? I’ve been taking 3 x 50mg Hyaluronic Acid tablets for the past 6 days, I’ve not seen any improvement apart from smooth facial skin. Please help me? I’m fast losing my hair. Thanks Kate. Hi, I don’t know if anybody has answered your question yet, but all vitamins take at least 3 months before you see or notice any change. So just keep taking it. Rachn – I have managed to regrow new hair around my bald patches by first of all going on an anti-candida diet for 6 weeks, after which I slowly introduced normal foods in to my diet. I have also been on a high iron diet which has further helped my hair growth. You are absolutely right, my tablets have taken 3 months to take effect. Hello, I have been on this site reading several threads in regards to Hyaluronic Acid. One user mentioned that she purchased the brand Source Naturals bottle titled “Hyaluronic Joint Complex” with glucosamine, chondroitin, and msm. So, I looked for it in stores and found it for 45 dollars. I ordered it online instead for half the price. I took the pill as directed for 2 days and it upset my stomach a bit. Nonetheless I kept taking it and then I decided to do the “Ted’s pill test” that I had seen mentioned on one of those threads. This is what I did: got a cup filled it halfway with tap water and dropped the pill in. I kept a timer for 15 minutes and saw that the pill had not yet begun to dissolve at all. I left it there for another 30 minutes and finally it looked soggy but I had to get a spoon to break it up because it was still hard in some places. My question is: Is this normal for this pill to take nearly 45 minutes to dissolve? Also, is this pill supposed to be taken with food? Finally my last question: Can I crush the pill and take it with water? Will it still work its effects this way? This reply is about the pill-dissolving test in general. Your stomach acid is more acidic than lemon juice, so my question is, how can testing with water be relevant? Rubi, be aware that a lot of supplements nowadays are not what they are supposed to be! Supplements have become a big industry and a lot of people are just out to make money! It doesn’t matter where you buy them…. Many times health food stores know nothing about what they are selling. To give you an example: awhile ago I bought Chlorella in what a consider a very good shop in Cardiff, Wales. Since then I read in a book that Chlorella is very good because it is the plant with the highest rate of Chlorophyl. Yesterday my husband, who is a chemist, was reading the contents and told me that the content of Chlorophyl in there is very low. So there you go…….. But I am sure that we paid as if it was the real thing! Then people wonder why their supplements do nothing for them…. And governments tell you that they don’t! How can they, if more often than not they are adulterated? For those worried about pills dissolving, you might try other ways of taking it. I saw a blueberry liquid that I am thinking about trying. Regarding the “blueberry liquid” I have tried this brand and the one made by NOW. I much prefer NOW both for taste and effectiveness. This form of HA beats the injections by far. Regarding Ted & Alfred’s recommendation of Hyaluronic Acid supplements, are there any concerns that HA may promote breast & colon tumors? Which of the powders is recommended from the purebulk site is the one to take for Teds recipe for degenerative disease? Alfred… Missing your updates on HA. Does anyone know if the salt in the HA recipe would make congestive heart failure worse? Using borax in the bath caused all the fluid build up in legs to drain out which was fantastic! but the HA/sea salt/water mixture is bringing all the fluid back. My husband was told by his Doctor that his incredable pain in his back was because his disks were degenerating. Surgery was the only option they left him with. I learned about hyaluronic acid right here on this site. I made it for him and in about a week his pain was gone. He’s a bad boy and only took it for a few weeks and because his pain is gone he has quit taking it. I also made it for an friend with bad knees and he had a very good result. He has cancelled plans for a knee replacement. Since hyaluronic acid holds moisture well–holding up to 1,000 times its weight in water–it functions not only to deliver water to the skin, but also to hold it there. As a large molecule, it does not permeate deep into the skin, but instead stays near the surface where it moisturizes the skin's outer surface layers. I read with interest Alfred’s take on HA, and I want to buy the same brand he does, since he has had such great success with it. This is purity products, however they don’t ship to Australia. Does anyone know how I could get purity products over here? Any replies much appreciated. Hi Labgrl, I am looking for HA capsules or tablets. Also, could you tell me the company name of those you suggest please? Hi Alfred, I am very much impressed reading your feedback abt hyaluronic Acid. I suffering from back pain and leg numbness since seven yrs, I am now 38. Not able to work and very hard usual life. doctor said liquid has been dried from disk and disk bulge. in this case do u suggest to take hyaluronic acid. if then which you prefer pills or liquid? aslo pls suggest me from where I can buy original natuarl HA. This question is for Ted: Ted, can you please clarify for me the proper molecular weight HA to take for optimal performance? So many manufacturers seem to brag that their HA is High molecular weight, yet I’ve been led to believe that low molecular weight is best for internal consumption. The HA I am currently using has a mw of 1,380,000. Is this good enough? I don’t want to waste hard earned money on the wrong thing. Please explain at your earliest opportunity. Thanks so much. Hi, I am confused regarding taking HA with food or on empty stomach. The bottle by PP that Alfred recommends says to take with meal. However, on other ailments on EC site regarding back problems, I have read posts that say not to take it with food, or protein sources specifically. Does anyone know the answer to this question. Take with or without food? And thanks Lisa, from Thousand Oaks, I plan to get the one from Source Naturals after this bottle, as the price online seems to be better. I saw Alfred's posts from 2010 on Hyaluronic Acid and and was delighted with all the good it did him. So, is Alfred still around? He would be 90 years old if he is. Hope so. My other question is…can HA be bought in Thailand? 1. Does the water have to be 39 degrees F. Or lower? 2. How do I measure 1 gram of sea salt? 3. Does the formula go bad after 48-72 hours like that on Purebulk? 4. Mine did not gel up like Purebulk talks about, although Ted used 500 mg. HA, purebulk used over 2 grams, I believe. 5. Do you have to shake it every 2-4 hours for 12-24 hours like Purebulk instructs? I am SO excited about starting this regiman, as is my husband. I actually mixed his up this yesterday morning, and shook it appropriately (is this necessary, Ted?) and gave him 8 capfuls this morning. He very sceptically asked me how long it takes to work. I said anywhere from 1 day on, why? He said he could hardly walk on his knee this morning, 3 hours later, no pain! Awesome if this would be “the Miracle Cure”, huh? One gram of salt is approx 1-1/2 teaspoon (per Google), also 8 capful is equal to approx 1 shot glass. Accoding to Ted, this formula lasts over 2 weeks. Can you let me know when you pour 8 caps into a shot glass, do you fill up the shot glass? Hi. Just wanted to respond to your question. I started my husband and I on hyaluronic acid pills 100 mg two months ago. I started 2 pills per day. Have slowed down to one per day. We have had no side effects that we are aware of. We both suffers aches and pains – my husband quite possbily has degenerative disc disease – some days we feel worse than others but could be contributed to other things such as what we eat. But all in all we have not seen any improvement in his back and leg pain as yet. I wonder if I should have put him on a larger dose to begin with. Will continue with it for awhile yet. The brand I have us taking has a very high review rating. Maybe it takes longer as Alfred has stated. 1. Should it be refrigerated? 2. Should it be taken on an empty stomach, or with food? 3. Should it NOT be taken at the same time as vitamin C, or any other particular supplements? None of these issues is addressed on the bottle. Many thanks for this wonderful site. 2. Either way with food or empty stomach both work for me..
Alfred has won me over with the positive results he’s had with Hyaluronic Acid, so a few days ago I purchased a bottle and started taking it. I’ve been taking 150mgs but find that an overwhelming tiredness comes over me and I do not have the energy to do anything. As the day goes on and I move further away from taking the HA my energy levels start to come back. I do feel that I’ve wasted my money because the HA was expensive and from a very good source. As far as I’m aware, the HA I purchased is animal sourced, would I fare better with a plant or fish based product? I do find that I also feel overwhelmingly tired when I ingest flaxseed or chia seed. I have been taking’s Ted’s Hyaluronic Acid formula for the disk & back problem on empty stomach (3 times a day), he also recommends taking magnesium citrate on empty stomach also, can I take both of them at the same time ? Thanks Bill for your advice. Hello everybody…… After reading many of your feedbacks, i’m a bit confused, since some people is getting positive results but not with HA as itself (only) since many products are mixed with collagen or conditrion and so on………. About The purebulk HA and Ted’s mix—some people can’t take salt as you may know so taking it alone isn’t it as good as mixed one? I am begging you to please help me sort thru all this confusion about the reference to Hyaluronic Acid (HA) in Ted's post and so many other posts on this product and treatment. Another poster stated that the HA from purebulk is not pure bcos the Chinese cut it with synthetic? Ted's quote: "Hyaluronic acid, yes I buy them from purebulk. The only particular brand I like is not the brand itself but for those formulations used for horses, which is proven to work. Purebulk does not sell a equine HA product." What does this mean and then please, where can I buy the HA Ted is talking about? Continued from Ted… "My formula that works is as follows: 500 mg of Hyaluronic acid powder (sodium hyaluronate) plus 9 grams of sea salt in 500 cc of water. Store in refrigerator when not in used. The formula advocated by the (purebulk) will not work as it degrades Hyaluronic acid since vitamin C will obviously degrade them. They do get more stable if EDTA is added in small amounts as free metal irons tend to degrade them. The dose is about 8 caps three times a day empty stomach." Is the EDTA to be added to Ted's formula? Or is the EDTA only added if the vitamin C is included? I wish that someone from EC would post clearer instructions for Ted's bulk formula and where to buy it. Should it be taken on an empty stomach, or with food? What size caps is he referring to? What would the dosage be in teaspoons instead of caps? I have read so many of the posts on this subject and it seems that many people are very, very confused as well. Some say to just buy the product already prepared by natural product suppliers and others say it doesn't work. Then Alfred from Bangkok swears by Purity Products.com and yet when I do a google search review on the Purity company, Many people have been burned by Purity, stating it's a scam. Why is Purity so unethical with it ordering/shipping "IF" it's such a quality product??? I am in much pain and would like a real easy and cheap method of taking the effective type HA, which will cure and not just manage my degenerative disc disease. Will you please help me. Thank you. Hi Missy…I’m not sure why you have had so much trouble finding hyaluronic acid on purebulk. All I did was go to purebulk and type in “hyaluronic acid” in their search box at the top and I found it straight away. See this link. I also checked the other website you mentioned and complained about from Alfred and did exactly the same thing — I searched for and found hyaluronic acid on the Purity Products website within two seconds. See this link. And if you had just typed “hyaluronic acid health” into Google Search(as I have just done) then you would have gotten hundreds of hits on other sites also selling oral HA. The dose for HA is to put 500 mgs HA(1/8 tspn powder) into 500 mls of water and then add two level teaspoons of sea salt. The sea salt is necessary because it helps to increase the absorption of HA into the body. This will heal spinal degeneration problems. Take 5 capfuls of this mixture three times a day outside mealtimes. The term “caps” or “capfuls” refers to the cap on the bottle itself in which you store the hyaluronic/sea salt mixture. And Ted does not advise using Vitamin C with this protocol. When people say vitamin C everyone usually thinks of Ascorbic Acid — which is the wrong oxidant form, not an anti-oxidant. In other words the Ascorbic Acid form will act to oxidize the HA and make it useless to you. The proper and useful anti-oxidant form of vitamin C is as ascorbate. To avoid all this confusion that is why Ted advises adding a small amount of EDTA — no confusion here — to the HA solution as an anti-oxidant and heavy metal detoxer to help prevent oxidation and breakdown of the HA in the solution during storage in the fridge. Ted's quote: "Hyaluronic acid, yes I buy them from purebulk. The only particular brand I like is not the brand itself but for those formulations used for horses, which is proven to work. Another poster's quote in reply to Ted's post above: Purebulk does not sell a equine HA product." What does this mean and then please, where can I buy the HA Ted is talking about? Another poster stated that the HA from purebulk is not pure bcos the Chinese cut it with synthetic? My question could not be plainer in lieu of the above quotes/statements by other posters. Next quote from my post: Then Alfred from Bangkok swears by Purity Products.com and yet when I do a google search review on the Purity company, many people have been burned by Purity, stating it's a scam. Why is Purity so unethical with it's ordering/shipping "IF" it's such a quality product??? Those are only 3 review google searches on Purity Products. There are other negative links. If Purity Products is such a good product, why are they so unethical in their shipping and credit card practises and why would Alfred recommend them??? I certainly don't want to even remotely try ordering from them. Apparently, once they have your credit card info, they continuously bill and ship product at their will. Next, Using "bottle caps" as a mode of measurements is just plain wrong. Not all water bottle companies use the same size cap! Some use wider caps, others use smaller caps, depending on the size of the bottle. So what is the proper measurement in terms of measuring spoons? And what type of water, spring or distilled? You also missed the fact that I stated that I would prefer to buy in bulk since the HA supplements that many companies are selling are very expensive. The prices in my health food stores, here in Canada are anywhere from $45 and up, for 100mg of HA, 60 capsules, which also have other things added to the mix. According to the link you provided for Purebulk, they have 3 HA's to chose from. So which one does or did Ted use? HA (bovine, vegan or vegan wheat free). None of these 3 even remotely describe the use for horses! Also, you didn't answer whether it should be taken on an empty stomach or with food. Bottom line, if you went and read ALL the posts to Ted about Purebulk, then you would see where so much confusion lays. Another poster found the HA from Purebulk, when mixed, grey and not blending very well. At times, Ted's instructions are vague, that's why there are always so many posts with so many questions. Yes, many companies sell HA in capsule forms, and if you look at the ingredients, they add a lot of other product into the mix. So my other question is, which company selling the HA capsules, is the best one to buy from, other than from Purity Products, since they don't have a good reputation with ones credit card. quote: Q. Are HA supplements, which contain glucosamine and chondroitin, derived from shellfish? A. No. HA supplements are derived from natural sources such as rooster comb, or chicken sternum cartilage, or synthetically made from a vegetarian source by fermentation of corn syrup. The latter is a purer source, while the others provide additional collagen, which is also beneficial. Given that there are 3 sources that HA is derived from, and that Consumers Guide states that the fermented corn syrup is best, which is the one that Ted refers to as the one given to horses? And given that Purebarn sells bovine and vegan, and Ted is not clear as to which one he buys from them, hence the reason for so much confusion. I look forward to your reply. Thank you. I ordered Ultimate H.A. Formula from Purity Products for the first time about 3 years ago. Here's the link to the exact product. We only order 1 bottle at a time (the top choice), not the “Super Saver” or “Buy 4 Get 1 Free” option. It's very pricey for sure. I don't use it, but my husband still uses it regularly and finds it helpful when used in conjunction with other supplements like Fish Oil, Magnesium and more. We have never have any issues with this company. Thank you for trying to help, but I just don't trust that company after reading all the negatives about them. It puzzles me why, if Purity Products HA is so good, why your hubby still needs to use it. In Ted's original post, he stated that the brand he uses actually “CURES” degenerative discs and joint problems. Perhaps your husband didn't take the 500mg of HA per day like Ted recommended? On the back of the bottle, look at the mg of the HA only, not the combined total of all the ingredients. That's why I was hoping to find and buy the exact same HA that Ted way using bcos it's much cheaper doing it his way. I came across Ted's remedy for DDD. I went to Purebulk's website to order Hyaluronic Acid powder, so I found that they have three types of HA: Bovine, Vegan, and Vegan wheat-free. As I don't know what the difference is between them, I asked the sales guy he said that the most popular one is the Bovine one, so I ordered this one. I received the shipment and I started taking the remedy yesterday. My question is what is the difference between long and medium chain, and what about the weight difference between the bovine and the vegan and which one should I use for Ted's Remedy? I read somewhere that the bovine molecule does not get absorbed properly by the intestine as it is too long, is this statement correct? Thank you all for the trying to help people, this is wonderful! I tried HA Joint Formula. Seldom have I had anything so devestating happen that is going on now. I took it two days and my ankles ached and swelled. I was taking something else new so I quit both. The swelling went down so I tried the HA alone. Same thing happened. I quit and swelling went down again. What possessed me to try it a third time, I’ll never know, but I did. Ankles ached and swelled, I quit, but this time the swelling didn’t go away. It got worse. My legs swelled and then my belly swelled. In three days I looked like I was 6 months pregnant and felt like I was carrying around a 20 lb watermelon and was hard as a rock. Then I developed a rash that was lumps in rows and felt like ropes. These were skin colored. Three days later I noticed I had a teet like bump (like teets on a dog or cat) and next day I had two more. A few days later I had deep red smooth rash where the skin was clear. I used ACV and that red went away in a day. All this from navel down. ACV helped get rid of the bumps somewhat but what is left feels hard. I got psoriasis on my elbow. I wake up in the morning with matter in the corners of my eyes and crust on lids and eyes are bloodshot. Eyewash helps, but eating sage on bread helps the most. When my legs started getting badly swollen, I was ready to do anything. I quit taking every nutrient and stopped eating and drank nothing but water, a little juice, green tea and cup of coffee. It took two days for the swelling to go down enough to get compression socks on. The belly softened up but is still swollen. I have water pills but I’m allergic to them. They make my ankles swell and blood pressure go up. I’m taking black radish and parsley and now the leg swelling goes down at night, but I haven’t seen my ankle bones in months. The swelling gets worse after I get up and after awhile have a hard time walking because of the pressure, and have no stength to get up a step. This has been going on since mid-March. Before I took HA I felt great, had lost a little weight and had bought a polka CD and danced around to get exercise. I’m not one to go to doctors. Every time I go to one I end up worse off. Now I’m wishing I had. (at least an allergist) I think it’s too late for an allergist now. We have an annual health fair and you can get a pretty comprehensive blood test. (35 things checked) I’ve been going over 35 years and seldom have anything out of whack. This year – 7 things and 3 more one point over or under baseline. 2 tests point to heart, liver or kidneys. My cholesterol is perfect. Uric acid is high but I don’t have arthritic pains or gout. My blood pressure is/was high. I take L-arginine and hawthorn and ACV for that and most times it’s close, or is normal. Six years ago I went to a doc that put me on BP med that raised by blood sugar and almost put me in a wheel chair because of back, hip and leg pain. Now I’m diabetic and as for BP, drugist says they’ve about run out of options. My son takes medicinal marijuana for back pain. A friend of his gave me some salve for the rash his wife had and didn’t use up. That seems to be helping and a side effect is, it lowers my blood sugar. It’s always high in the morning even when I took medication. I do my best to keep it under control with nutrients, herbs and diet. I had it under perfect control with diet only before I was given the BP med that raised it. It’s high in the morning but with this marijuana salve it’s lower (normal) than I’ve seen in years. It got rid of the psoriasis on my elbow. I only got 1/2 gram. I’m not a marijuna person. Wouldn’t smoke it, but I’m ready to find a dr that will prescribe the salve. This HA has something in it made from olives that’s supposed to “trigger” the HA and make it absorb better and faster. Boy, does it ever. This belly weight is not like fat and not like water bloat. I do a little dry brushing to get the lymph moving. I have a dutch door and I lean on that and sort of walk in place and do mild squats for exercise. Muscle tone in belly is gone. Does anyone have any ideas? Sorry this post is so long. Judy, I am stunned what is happening to you. We are born with a lot of HA in our system. As we get older we lose much of it. Your side effects are many. Did you overdose on the HA? How many mm was the pill? I know pill not from PP. Their stuff is well balanced. That’s the only thing I can figure. Did you give the pill the water test? How long did it take pill to dissolve? If longer than 20 min the pill was old. Judy, please send note to Ted. He is an amazing person. He will figure it out. Alfred, Thanks for answering. Yes it was PP, if we’re talking about the same PP. All I can say is it was in capsule form, ad was on the radio, one bottle free and two more charged. I did not do water test. I think I did three total a day. I did whatever the directions said for two days each time. I forgot to add in original post, I’m very sensitive. When I was tested for allergies many years ago I was allergic to 40 percent. I’m sure hundreds of people could take this without a problem, otherwise I’d have sent form to the FDA. I seldom have a problem with nutrients and when I do it’s very minor. I think I got caught up in their talk about how it helps get rid of wrinkles or I’d have left it alone after the first try. Serves me right to be that vain. I’m 69. Can’t expect to look 55. Would be nice though. I will contact Ted. Thank you. Sara.. You live in a Great Country.. Canada. I spent some time in Edmonton.. I guess I was not clear I take 100mg of HA..= 3 pills.. When I take 3 pills from pp it = 100mg.. I am now taking 4 pills = 133mg.. You can take up to 300mg per day according to the book.. “How to live to 100 without growing old” meaning you will be 100yrs old but Not look 100yrs old.. But my opinion. I think smaller doses would be better absorbed.. Like 50mg per time x 4 or 5 or 6.. Get absorbed better… I worry about Health food store pills.. My daughter is 58, knew the people, she said they know their business.. Took pills for 3 weeks nothing happened.. I asked her to give it the water test.. The pill did not dissolve.. If you trust the people.. Buy small quantities. Judy.. You sound like one sweet person.. Only 69.. Just a kid.. BUT with the HA wrinkle stuff u can buy in the store.. It will dissolve your wrinkles (I call them hinges.) from smiling too much.. But seriously.. New stuff out in the market, that will get rid of those hinges. When you say 55.. In Thailand 5 means HA. If 555.. It would be HA HA HA. Now you know Thai. I know you will contact Ted.. Please give him complete description of what is happening to your system (not Just HA stuff) but everything.. YOU WILL be amazed How he can clear your challenges UP. To the user from Colorado: What an interesting post! Your results sound as if you've clearly had an allergic reaction to an ingredient contained in the HA (to be precise). You've stated that your allergic to your 'water pills'..(you probably have allergies to many things). Recommendation is to see an allergist, and get tested for the many things you seem to be allergic to. Sometimes a person will be highly sensitive to chemicals, foods, ingredients, plants, even herbs, and may exhibit signs of allergies. These can be confused with an 'allergic' reaction. A severe allergy, however, is life threatening, so it's advisable to not try taking the product that caused any significant swelling or discomfort again). Do yourself a favor & see a an MD. Eat well, and most importantly, exercise! This Book I read when I am sitting on the John. author of this book Bill Sardi..Please Please.. do not push your bodies. we only have one body.. be good to it.. All these changes can not happen overnight (Rome Was not built In A Day) Take a normal,or a little more than normal supply of the HA.. In checking on-line to try and find the Source Naturals brand that you recommended, I found that most people complained of the size of the pills. Some said that they returned them and a few said they just couldn’t take them. Of those that could get them down, they seemed pretty happy with the results. What’s your feeling on the size of the pills? Hi Lisa, I am following your results with the hyaluronic acid and am glad to hear another brand not as expensive is working just as well. My question is can you up date on any new developments or if not any can you please restate how hyaluronic acid has been helping you. Thanks so much. Hi PR and Kay, To answer your questions: The Source Natural pills are two different sizes. The joint complex pills are quite large although I didn’t give it much thought until you posed that question. The way I have always taken pills though makes it easy I think. Since you usually have to take supplements with food, I chew a mouthful of food well and then when I’m ready to swallow, I put in a pill and it goes right down with the food. At any rate, that works for me. Now, the Skin Eternal formula of theirs- the pills are considerably smaller. Both have the same amount of hyaluronic acid in them but the Joint complex has considerably more ingredients. The reason I bought the skin formula was because I knew this company made a superior product since I had excellent results with the Joint complex and they also had an equal amount of HA. I bought them but as soon as I found the Joint complex again I grabbed them. I also noticed that the Joint complex sells out fast! So, obviously others notice their effectiveness. Thanks Lisa, for your reply. It was helpful. I just read your post on HA and had to comment. I too have been taking Source Natural’s HA, in both the kinds you mention, the Joint Complex and the Skin Eternal formula. I think I wrote a post last month(?) about this. I started HA because of knee pain due to some over-enthusiasm at the gym. Within a few days my pain had disappeared and the bonus was that my skin looked and felt so smooth and I seemed to have new energy. I became an instant believer in the positive effects of HA and I can’t thank earth clinic enough for all the info they allow to flow through. And I also would like to take this opportunity to thank Alfred for his original post about HA. I went to Whole Food to buy the brand he mentioned but they did not have it. Instead, I was led to Source Natural and was told that it was equally good. Since then, I’m on my second bottle (I take two a day, one in the AM and one in the PM) and along with a teaspoon of turmeric mixed with raw honey, black pepper and coconut oil washed down with a glass of warm water first thing in the morning, my knees have given me no trouble at all. Like you, I too have become a convert to green smoothies ( I try to have a green smoothie at least for one meal every day) and the difference is amazing: I have tons of energy, sleep like a log, and best of all, I have begun to lose weight! Hi Ted, I am new to this site and I am wondering about taking Hyaluronic acid for Degenerative Disc Disease. My husband takes pain medication daily(2-3 500 mg percoset) and I am wondering if anyone has experienced any side effects by taking the HA in addition to pain medication. He desperately wants to find a solution to getting away from taking pain medication, and from everything I’ve been reading about HA it sounds like this may be the solution he’s been searching for. After one week without HA.. my body started to fall apart. In about 4 days my knees started to hurt.. I have no reaction to HA.. I got to get off My a– and do more exercise..I eat a lot of vegtables.. I grow my own purslane and aloe vera.. never knew you could eat aloe vera.. a little bitter BUT very healthy.. Just wash it, scrape the little ruff spots off the edge.. do not peel.cut in thin slices. eat the whole thing.. tell u one thing, it gets that poop out of you..every day like clock work. That HA is good stuff Lee. Thanks for checking In. I am glad to hear you are feeling better. I always enjoy reading your posts here on Earth Clinic. I had a thought concerning the HA and how when you went off it for a week you felt bad. I wonder if it is like the reaction people have sometimes when they stop taking high doses of vitamin C abruptly? Maybe if a person stops taking HA they should taper down slowly? Sorry if you already addressed this idea. I did not see your first post, and am joining this in the middle. Just wanted to throw that thought out there. Carly, Thanks for your suggestion.. that I stopped too fast taking the HA.. Should have been gradual…I do not know what my hurry is.. Moses lived 900 years, I am just a kid, No rush.. I have time. Thanks for the suggestion. Well taken. I was very excited to try the Hyaluronic Acid product that Alfred has been talking about (thanks, Alfred) and started it about 10 days ago. Unfortunately, this product is not for me. I had to stop taking it after a week due to severe side effects from just 1 capsule a day! I can’t imagine what taking the recommended 3 pills a day would do. This product (the Ultimate H.A. from P. Products) acts like a sedative in my body. I don’t know if it is the Hyaluronic Acid or another ingredient in the capsule, but 30 minutes after taking 1 capsule, I felt a pressure just above my forehead and then the intense urge to sleep set in. I made 2 driving mistakes the first day I took it, I was so out of it. Luckily no accident, only a very close call. I might try another brand of Hyaluronic Acid in the future to see if the same thing happens. Incidentally, I have a few other friends testing the same product (all taking 3 capsules a day) and none are experiencing the exhaustion. The only common side effect is the vivid, weird dreams. Just be careful if you are trying out this product for the first time. Chances are you’ll be fine, but if you feel tired all of a sudden, be careful on the road!! Uh oh, my husband and I have been taking NSI hyaluronic acid and he started having very vivid weird dreams after a week or so almost every night, I have had two of them. I thought it was because we are stressed out about his being out of work for a few months. Anyway, I just ordered 3 bottles of the brand Alfred recommended and hate that he won’t take it if it gives him the weird dreams too. Neither of us have felt tired though. Alfred and all who take it – do you have this side effect? I havent tried the hyaluronic acid, but with the blackstrap molasses I experienced very vivid, weird dreams. I had to stop using it. I dreamed of huge rats in my cake, single leg trying to come through my window, wow, too weird for me. I cut out the bsm. Anybody else experience this? One good thing was my new growth hair was coming out black, and not gray. No dreams BUT Very tired.. did not think too much about being tired during the day.. Figured I was getting along in years & that is part of getting older. Deirdre.. THANKS for waking me up. Today I will stop. taking HA and see IF I am not tired anymore.. I feel like sh– ALL day just dead..Night time cannot sleep until 3 am..The HA has helped me a lot. Repaired my bones. New hair growth on my head, face almost clean of barnicles ,hair turning slowly back to black color from white. Wrinkles disappearing.. BUT to walk around all day as a Zombe. Tired, dead feeling.. It would be nice to be alive again. I will get back to you after a week or so. Hi Val: My experience with HA is tremendous. My nails are no longer striated. My face has filled out I guess must be renewed collagen. Alfred recommended Ultimate HA which I’ve just started trying. I’ve been using Natures Way and it has the exact same ingredients, ‘cept Ultimate has quercetin, lecitin and inositol. Perhaps you shd check the ingredients. I’ve been taking HA for almost a month now for my knee pain. It helped the pain but I developed a small rash on my back (a common side effect) and my eyes got very itchy. I started with three pills as Alfred had suggested and now I cut it down to just one daily as a maintenance dosage. There is still a faint trace of skin rash in that small area, but I traded it off with my pain. There is a bonus; my skin as a whole is not as dry (more than 20% better) and the color of my nails has improved too. I am not challenging Alfred’s suggestion, I am saying we are all different individually. So test out the dose to see what suits you best! Purity’s HylastinTM is our next generation H.A. formula designed to dynamically support healthy, supple skin with 100 mg of Hyaluronic Acid per serving, plus other powerful ingredients to supercharge your skin and joints, including super concentrated Ultra-Pure Omega-3 Fish Oil, Pomegranate P40pTM Extract, 5-Loxin®, Folic Acid, Borage Oil, IP-6, and Vitamins E, C and B12. I really hope this one is better as this is not a great time for us to be wasting money, but if it helps his joint pain it will be worth it. By the way, the one we have been taking hasn’t helped us in any way at all. I may have figured out the ingredient causing extreme fatigue in the Ultimate H.A. formula: inositol. Mega doses – hamper the absorption of iron, calcium and zinc. Mega doses – can cause kidney diseases like kidney stones, etc. I have been using HA for three weeks now. My brand is from Source Naturals and has 100 mg of HA. It also has BioCell collagen, Type II collagen, and Chondroitin Sulfate. I take two tablets every day, morning and night. I had been nursing a sore knee for two weeks prior to taking HA (result of trying too many new classes at the gym!) and was hoping the HA would help with the lingering pain. Within a week, I could run up and down the stairs as before, without a twinge. I also found that my pores were shrinking, and my face looked and felt smoother. I did have some sleepless nights initially until I figured out that it must be the L-carnitine, which I had also begun taking at the same time. I reduced my dosage of that to one TBSP a day and now I sleep soundly. Till date, I have had no unusual dreams that I can remember any way. For now, I plan to continuing taking HA because I love the results. Thanks EC for having this great forum where one can learn so much to improve one’s life. I don’t have any side effects but what would you consider mega doses? I take 3 per day (Alfred’s brand)AM, Afternoon PM and PM. My reading on HA tells me 300mg a day max.. But Ted uses liquid to heal a specific area.. When he says caps .. each cap about 25mg so 8 caps = 200 and 12 caps = 300 same.. I never figured it out. But Ted can give you a better answer.. Ted is one Amazing person..NO doctors will tell you what Ted tells you. He does a lot of research.. But he is one busy guy. It’s been one week.. stopped Taking P. Ultimate HA..I thought easy solution.. Just stop taking Ultimate.. Got idea because Deirdre got bad reaction.. I thought maybe that was why I was tired during the day. NOT TRUE..NOT TRUE.. In fact after giving up P. U.HA. am hurting.. my knees, both knees hurt, My being tired has NOTHING TO DO WITH the HA.. Its lack of exercise. My age must have something to do with it…I have a very good Vitamin from the same company that my wife was using. Perfect multi Super Greens. I took for 2 days now..
Amazing how good I am feeling. when my wife complains ,she does not feel good.. she is only 49 yrs old. I ask her. Did you take your vitamin.?. She always say.. I forgot. so with the vitamin and exercise.. My energy I know will return. Sooo happy you figured out what you needed! Here is to exercise – bodies were built to move and they love it! For the record, I started off with a lower quality brand HA several weeks ago and did not see too much improvement. I started the Ultimate HA about a week ago, in addition to oil pulling with sesame oil, and I feel Fabulous!! Much less aching of muscles and joints, sleep like a baby, skin improving, and mind is clear and joyous! It could be HA or OP, but I sense that it is both and what a FINE combination! Lee, I did not answer your questions properly.. My being tired has nothing to do with side effects of HA..But When Deirdre had a tired reaction, I was looking for an easy way out. Wishful thinking. Playing long shot. My being tired started when I left California, moved to Thailand and retired.. worked ever since I was 13..Mind does not stop working, planning, its still active.The tireness came from boredom, nothing to do, take it easy.. That not my cup of tea..Soo instead of sitting around I help people and am starting a new business and teaching other people to do the same.. my life is getting back together.. I am keeping it busy. Dierdre, did you try any other brands of HA and if so, what results did you have? I have sleep problems and now I tempted to use the PP brand HA and perhaps it will put me to sleep! Plus the excellent results some people are having are appealing. No, I haven’t tried another brand of HA yet. My husband has been taking the PP brand for many months now and loves it. Next time we need to re-order, I want to try the brand that Lisa from Thousand Oaks had recommended at some point last summer since it is considerably cheaper. Sorry, I don’t remember the brand so will have to hunt for it on the HA page. Yes, if you want to sleep, try a supplement that contains inositol! You might also want to try homemade milk kefir with its high tryptophan levels. That also zonked me out (see my recent feedback on the subject). Please let us know how it goes with the HA! Crazy took us 30 or 40 yrs to get into the condition were we are.We can not wait a few months, maybe a year to have some changes.. I guess thats what they call the Impatience of Youth.. We are young at heart. the HA stuff work pretty fast if you have the correct mix, so it gets easily absorbed into the body. now an intesting thing my face show a lot of Barnicles of ageing. That why I had a full Beard which is white color.. To cover that mess on my face, men lucky we can do that.. I shaved my cheek area 10 days ago. My face almost clear of all that Black markings.. watch it daily and every day getting lighter in color.. In two week more my face will look new again.. I am getting comments from people about my face.. Makes me happy.. My beard still white but Mustache is Salt & pepper.. black hair replacing the white hair. 85% gone liver spots on back of my hands.. I am taking 4 pills per day which is about 134mg of HA. Been quiet on the Home front.. Not too much about HA.. Its keeping my joints limber, mustache in two month will be completly black, cuts and scratches heel very fast with no scars..barnicles of aging disappearing slowly.. I just read your comments about your experience with hyaluronic acid back in summer of 2010. It's 2014 now and I'm wondering whatever happened with that experiment. I'm curious to know how well you are doing or if you ran into any difficulties along the way as I'm considering trying HA myself. Hi, I read Alfred’s post about hyaluronic acid. It seems very expensive to order from the USA. Has anyone any recommendations for a British product of the same quality? Btw, I had great results from using home-made kombucha and kefia many years ago: clear skin, energy, less aches and pains. Unfortunately, I had loose fillings from bad dental work and I had to discontinue the kombucha. Many thanks for the site. Renewed my search for health! I see that Purity Products does not supply Ultimate HA outside of the US or Canada, so I wonder where Alfred in Bangkok gets the supply from, or anyone else non US. I have seen a few ebay site operators selling it that may ship abroad… I’m thinking that the costs of getting Ted’s recommended HA from Pure Bulk in the US, means we have to look for a quality european based HA product… Anyone used one yet? I have seen hyaluronic acid in the UK in health food shops like Holland & Barrets and Bean Freaks. Hi Folks, I am 55 and have just started taking HA just under two weeks ago. I have osteo problems and a bad “dry eye” condition. I have been taking a liquid HA called ________. It’s a high molecular weight HA as I read a book called “The Hyaluronic Acid Miracle” and they recommend a bio-identical high molecular weight HA. They state that low molecular weight is easier to digest but it’s like putting oil mixed with water in your car instead of pure oil (i. e. not as thick so won’t work as well). The only thing I am not sure of is if its a bio-identical HA as it does not state that but does say that it is not from animal source. It is distributed by a company in West Yorkshire here in the UK called _______. You take one sachet a day mixed with water so it’s really easy to take. The effects were almost immediate, pain in joints easing daily and are almost gone. I have only had to take my dry eye gel/drops twice during this time and previously I had to take them 3-4 times a day. So far no side effects. They also state that you should get HA from non-animal source (as it is not bio-identical to our bodies). They really stress that!! You can buy it online and it ranges from £20-30 for a months supply. The book talks about how HA affects your body and is written by Dr Chris Meletis and David Rousett (and is recommended by L. Sephen Coles M. D. , Ph D. and the author of Extraordinary Healing, he is apparently the world’s leading supercentenarian expert). I am new to all this but have done quite a lot of research on the net on HA (which lead me to this site) and like most things I totally think that you get what you pay for. If it’s not a quality product there is really no point in taking it. By the way before I started taking this I could not read the ingredients without my glasses and was amazed just now that I can almost make them out without them… Onwards and upwards I hope!! I was curious if anyone else has had the success that Alfred has had with HA and if they would share their story? Also, is anyone having sucess with another brand? Is there anything else you are using in combo with the HA? Good Day Fitanz.. I feel the reason the pill I am taking is working so well is that the HA is mixed with other stuff, to make it easy for the body to absorb. I found out what the other is in the pill from PP and sent it to Earth Clinic. Also I think 100mg in one pill is too much.. I would rather see it in 2 or 3 pills for better absorption. Stay well. I just wanted to say that I have been taking the brand that Alfred recommended. At first I only ordered one bottle, cautious in case I had no results. In 2 days I definitely noticed a marked difference in my joints- as if they were well-lubricated. Also, my skin began to soften even more. I say even more because I have been about 80% raw since Oct ’09 and have been green juicing and now green smoothies daily which rejuvenated my skin and health! Now with the HA all skin damage on my right arm from the sun in Hawaii 4 years ago is gone! Honestly, my arm looked like it was from a 90 year old and I’m only 53- scary! No significant changes in my hair as of yet but, I will post if I see them. That would be fantastic if that changed! Anyway, since I could clearly see results immediately, I ordered 3 more bottles and am taking it daily. I know that product names are discouraged at EC (rightly so, I might add) but I was curious to know which HA product Alfred had recommended, since I would like to buy it too. Would EC permit you to write it? Thanks! I’ve a question for Ted about the use of HA. My teenage son hurt his knee while playing sports and tore his cartilage about 9 months ago. He’s taking comfrey tea and silica from horse radish for a month or so, but it is not helping too much. I am wondering if HA could help his torn cartilage. I woud appreciate if you could respond to my inquiry. Thanks. After reading Alfred’s posts about the benefits of this, my husband and I started taking 100mg (2 50mg capsules) daily one month ago. The brand I bought has very high ratings and was just manufactured in March 2010 (so it is not old product). We haven’t seen any changes since taking this. Has anyone else tried this? Have you gotten results? My next step is to try the brand he recommends I guess. I have been taking hyaluronic acid for a month without any result, the formula I bought was from a well known company and it was good for arthritis so far nothing I mean no changes at all, I still have 3 more bottles because I took the promotion buy 3 get one free, I will finish all, but so far no changes at all, I won’t buy it again. Same for me, unfortunately. I’m going to try the recommended brand next because it does sound amazing. Sorry you’re not getting any results from HA..When I was younger, I worked on saving money and purchased pills that I thought were good. Now I am getting along in years, running out of time, I buy the Best Pill I can find..Then I give it Ted’s test.. Place pill in water, it should dissolve in 20 to 25 min. The pill from P dissolves in 12 min. Last week I got e-mail from a gal who was taking 400mg of HA.. But her pill did not dissolve.. So that was a waste of money. Health worth more than money. June 3rd It will be 4 months.. Will send update. Lee, sorry your pill not working.. the one I am getting from P. Products is Ultimate Ha.. If you take 3 pills each day they equal 100mg.. You can take more up to 200 per day.. but at the start Please stay with 100mg. The pill your now taking.. how long does it take to dissolve in water. If it over 25 or 30 min, it’s not helping you any. Happy that the HA is helping.. My wife had head ache and NO energy.. She is taking Pefect multi, super Greens..NOW NEW person. NO headache plus energy the products.. Thank you, Alfred. Will try your recommended brand next. Val..is the new HA helping your husband? Thank you for asking, Alfred! He can’t take them because the capsules (Hylastin) are too large. Lord, they are monsters! I started taking them 3 days ago though and will definitely let you know if I see any difference in my fine lines, dry skin, vision (oh, to not need reading glasses), gray hair or stiff neck and shoulders. We also just bought a new mattress so that will probably help with the stiff joints. Take it easy.. try the pill in honey..your husband needs the pills more than you do. There are two products both supplying 100mg hyaluronic acid..one with MSM and one without. They also contain Hydrolized Collagen Type2 600mg, and Chondroitin Sulphate 200mg. These are the only HA supplements I can buy here and I have to say I have been getting gradual improvement in joint pain and stiffness. Also I got my daughter to try this last week and in four days she has had significant improvement in pain and stiffness..she said she usually had to roll off the side of the bed onto her hands and knees in the morning to be able to stand up and she noticed yesterday (day 5) that she got up and went into the kitchen before she realised she had got out of bed normally with no pain..(we are taking the supplement with MSM) Best of luck. Thank you Catherine for your feedback, I did manage to locate a supply in australia where Iam getting pure powdered H A which makes 5 ltrs, lasting me about 4-5 weeks as Iam initally taking about 150ml a day to build up but the difference it is making in my mobility is very noticable, I have had no adverse reactions at all, I will however have to look into another supply soon as it is way too expensive to buy this way on a pension. I see the product you are getting is only 10% HA , how many tablets are u taking per day? Thank you Catherine for your feedback, I did manage to locate a supply in Australia where I am getting pure powdered H. A. which makes 5 ltrs, lasting me about 4-5 weeks as Iam initally taking about 150ml a day to build up but the difference it is making in my mobility is very noticable, I have had no adverse reactions at all, I will however have to look into another supply soon as it is way too expensive to buy this way on a pension. I see the product you are getting is only 10% HA , how many tablets are u taking per day? Could anyone tell me where to buy hyaluronic acid powder for degenerative disc dicease in Australia? Amazon won't ship from the USA to Australia so I guess that the import of this product is prohibited in Australia. Thank you! I get it from iherb. No one will ship MSM to Aust either so you can buy HA and MSM together unless they've stopped that. Although you can buy msm here. I have dd c4,5,6. Wow is all I have to say! And good for you. You definitely found your magic! Keep it up and keep us posted. I love it. On the way to the Forum, stopped and got massage at my favored place.. have not been there for 3 weeks. The massage was great, relaxing, rewarding,, all that good stuff. When the massage gal got me sitting up and start working on my head she stopped. She did not believe ALL THAT NEW BLACK HAIR.. TAKING OVER THE WHITE..too many questions to answer.. I saw the black hair coming in my bald spot from the front.. But the back of my head invaded with black hair… i do not get to the back often.. but thanks to HA.. Wow I will give it one year..Rome was not built in a Day.. my bald spot filled in, all my hair black..With what HA is doing with the skin, barnacles of aging disappearing instead of 83.. Could I pass for 68 yrs young.. we will see.. only must wait for one year. thanks for your time.. Earth Clinic good people. Hell Hope.. We must give H>A> time.. It will do mircles. With its putty.. re-pair your old and tired joints..which will work like new.. go back to running and sports. Takes care of the barnicles of aging, better eyes, better skin. List goes on & on. Thanks for your note. Hi Alfred, I am so impressed with your results that I ordered the Ultimate HA formula then I saw that you started with Hylastin. Which vitamins are you taking and which do you feel is overall better for someone close to 60? Hi Alfred! This is Eugenia from Italy. I’ve just bought online some Hyaluronic Acid Tablets from Health Spark (UK). Do you know if the quality of this brand is good? I also bought asthanxanthin from the same site… Do you may be know if they can have any side effect if taken both?